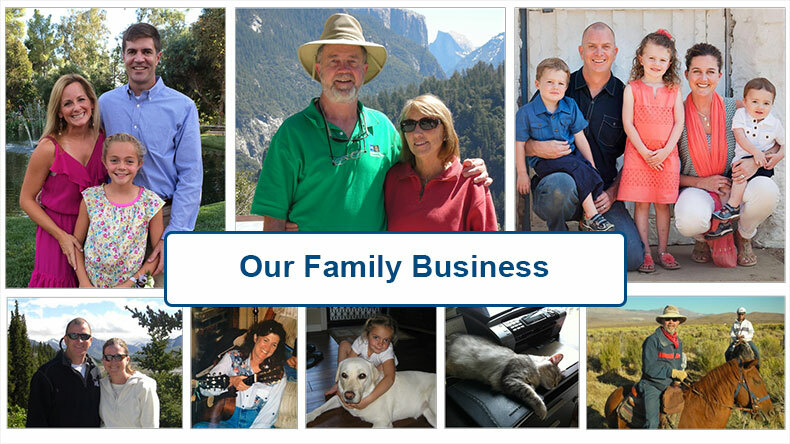 CharityMania is a family owned business that has been operating since 1994. Over our company’s lifetime, we’ve helped over 20,000 organizations from across the country raise over $50,000,000! We pride ourselves on helping non-profit organizations raise money and build community involvement. We do this by providing inexpensive, easy-to-manage fundraisers that are fun to play… and with a commitment to exceptional customer service. Check out our fundraisers based on your favorite sports. We are a proud member of the Better Business Bureau’s Online Reliability Program. We pride ourselves on our exceptional customer service and ethical business practices. For more information about our A+ rating, view our certification report. CharityMania is a family owned business based in San Diego that has been operating since 1994. 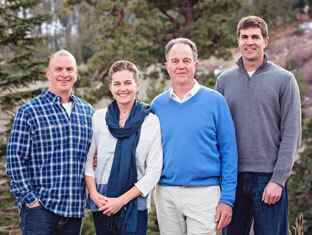 Neil, Chris, Michele, and Jeff are the company’s general partners and chief operating officers. All four have extensive education and work experience in the software industry (at companies such as Intuit, Accenture, HP and at Santa Clara University) and manage the employees and operations of the company. Read our quick biographies below to learn a bit about each of us and how CharityMania got started. Neil has a broad background in computer science, education, and entrepreneurship. 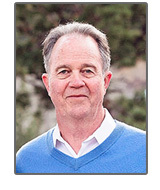 With his Ph.D. in electrical engineering from University of Southern California, Neil spent the first 30 years of his professional life working as an engineer, eventually founding his own business, Quad-Q Systems. Specializing in computerized process control systems, Neil’s company created marine mammal life-support systems for Sea World and zoos; medical instrumentation control systems; and air conditioning, heating, and ventilation control systems, among others. It came as a bit of a surprise to Neil’s friends and family when he decided to return to school and pursue a lifelong passion in the field of ethics and theology. He earned a graduate degree in theology (specializing in business ethics) from the University of Notre Dame and then accepted a job as a professor at Santa Clara University in Silicon Valley. While there, Neil taught graduate electrical engineering classes, business ethics classes, helped found the Santa Clara Center for Science, Technology and Society, and was a Presidential Fellow with the Markkula Center for Applied Ethics. At about this same time, Neil began working with his son, Chris, on a fundraising idea he had to help out their local parish in San Diego. The fundraisers were so successful that Neil and Chris eventually decided to work on them full time… and CharityMania was born. Neil has served as the founder and managing partner of CharityMania since its inception over 25 years ago and is thrilled to be working full time with his son and daughter. Neil has a BS in Physics from Loyola University, a PhD in Electrical Engineering from USC, and a Masters degree in Theology from Notre Dame University. In his spare time, Neil loves the outdoors and traveling. His latest adventures include walking the Camino de Santiago, and trips to Antarctica, the Galapagos Islands, and the Grand Canyon. 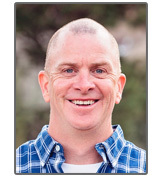 Chris has worked in the software industry for over 20 years. He began his career at Accenture as an information technology consultant for global telecommunication companies such as ATT and Deutsche Telekom. After earning his graduate degree from UC Berkeley’s Haas School of Business, Chris worked as a Sr. Product Manager for Intuit’s award winning TurboTax Online product line and was a founder of the TurboTax division’s innovation lab. In this role he consulted with teams (both inside and outside Intuit) to help them develop their innovation processes and solve complex business problems. Chris has worked with his father Neil on CharityMania fundraisers since their inception over 25 years ago. From the beginning Chris has worked on many different aspects of the business, but primarily focuses on the user experience design, statistical analyses, and business planning. 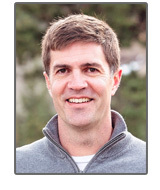 Chris has a BS in Physics from Santa Clara University and an MBA from UC Berkeley’s Haas School of Business. In Chris’s spare time, he enjoys athletics of all types, especially volleyball, and spending time with the two joys of his life: his wife and daughter. Michele has worked in sales and customer support for over 20 years. She began her career in Silicon Valley working as a sales rep for Spectra Electronics, a small electronic component distributor. She then started working for AltiGen Communications, a leading provider of voice over IP business phone systems, as their Channel Development Manager. Michele joined the CharityMania team full time in 2005 and now oversees all of CharityMania’s customer support and sales. 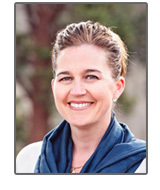 Michele has a BS in Combined Science from Santa Clara University. In her spare time, she enjoys running to stay healthy and has completed a number of half marathons. She loves sports of all kinds, traveling with her husband, Jeff, and spending time with family and friends. Jeff has worked in the technology field for over 20 years. He spent the first several years of his career at Octel Communications, a leader in voicemail systems. Jeff then worked at Hewlett-Packard for over 13 years, where he lead software engineering teams and ran HP’s global Lotus Notes environment. Jeff joined CharityMania in 2009 and helps in all areas of the business, including operations, website management, product development, and marketing. Jeff has a BA in Computer Science from Middlebury College in Vermont. When he’s not working, Jeff loves to play sports, play poker, travel, and spend time with his wife, daughter, and two sons. If you’ve ever called our office and heard a dog barking in the background, that was Annie. Annie is part of the family and we could not be more proud of her. 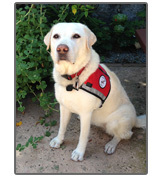 She is a trained canine companion dog that now works as a specialized therapy dog at local hospitals, schools and all Alzheimer’s care facilities. When she is working, she is a calming influence and brings a smile to the face of the patients and students she meets. She embodies the helping and charitable spirit of our family and our company… so we felt she deserved a spot on the website! It all started about 25 years ago when Neil Quinn ran a fundraiser for his local parish and youth group at St. James Catholic Church in San Diego, CA. That fundraiser was essentially what we call FootballMania today. The fundraiser was unique, fun, and raised a lot of money for the parish. Parishioners were excited and sold the tickets to friends and family across southern California. Some of the FootballMania tickets were sold to members of a Catholic parish located in the Los Angeles area. That parish loved the fundraiser and called St. James to ask how they too could run it. They were told, “You gotta talk to Neil Quinn.” Instead of trying to document and explain all that needed to be done to run FootballMania, Neil offered to donate his time to run it for the parish in Los Angeles as well. They sold thousands of tickets and it was a huge success. Over the next few years a variety of churches and nonprofit organizations from across the country learned about FootballMania through word-of-mouth and contacted Neil to ask if they could use the fundraiser as well. Neil was completely surprised by the growing interest in his fundraiser, but was also extremely proud that he could help so many organizations raise money and do great things. He didn’t know if he had the time to help every organization that wanted to run FootballMania, but he also felt that he had an obligation to help them if he could. Neil started spending more and more of his time helping run the fundraisers for organizations across the US. He charged a small fee to cover his expenses and time and ran the operations completely out of his home as a small side business. CharityMania was born! As the business continued to grow rapidly, it was clear Neil could no longer handle the workload by himself. So he brought on his son, Chris, and his daughter, Michele, to work part time. Fast forward to today and now Neil, Chris, Michele, and Michele’s husband, Jeff, are all full time partners at CharityMania and the business continues to grow from the word-of-mouth of happy customers. We are truly blessed to work for the business we created and are extremely proud that we’ve helped so many great organizations raise so much money for such worthy causes. We pride ourselves on helping organizations do great things, and on providing exceptional personal customer service. We look forward to many more fundraising years in the future! If you are interested in using a CharityMania fundraiser for your organization, send us an e-mail or give us a call. You can be up and running within a day or so after you sign up. If you are unsure whether or not CharityMania is right for you, contact us and we can answer any questions you might have. Complete the form below and make sure to let us know how you would like to be contacted. Fields with a “ * ” are required.